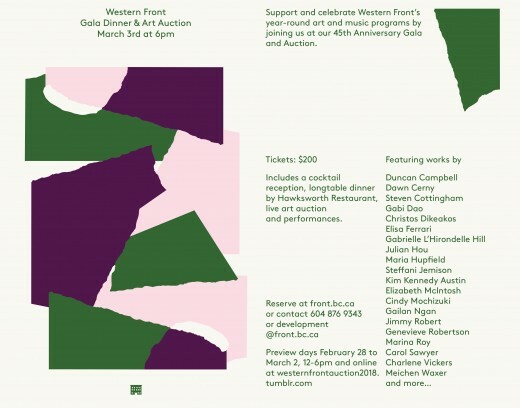 Join us for Western Front’s annual Anniversary Gala, featuring a live auction of 28 works, musical performances, and dinner by Hawksworth Restaurant. Proceeds from the auction support Western Front’s year-round art and music programs. The auction catalogue is being updated online. Visit our auction Tumblr.